Millennials hold a strong desire to prove themselves in the workplace. Other generations view them as entitled, self-absorbed, unprofessional job-hoppers who instigate changes in work culture, and leave when they don’t get their way. Despite these negative stereotypes, millennials have a lot of admirable qualities that are worth noting. They inject creativity and innovation in the workplace like no other generation can. They bring to the table unique skills and countless contributions that are valuable for any company they belong to. If you’re a millennial and reading this, remember to never take yourself for granted. 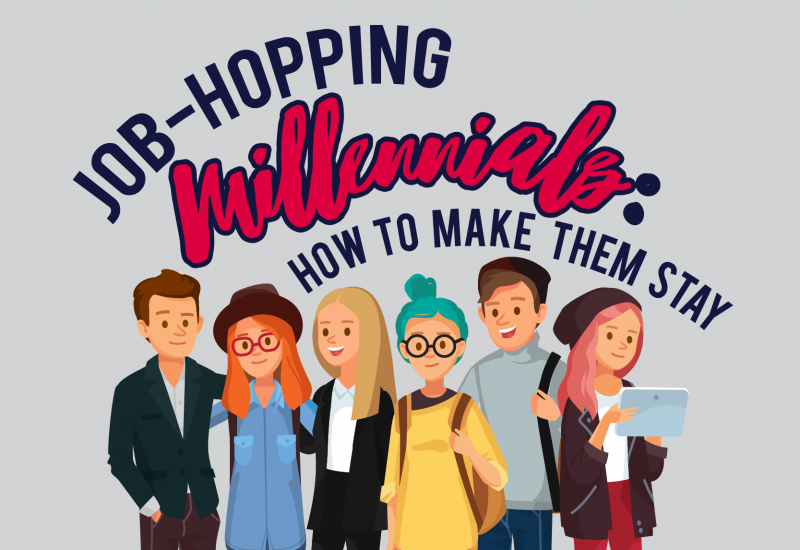 Yes, you may have different work ethics from workers of previous generations, but that doesn’t mean that you can’t be the millennial leader you aspire to be. Here are some tips you can follow to perform well at work and succeed in the workplace as the millennial leader of today. 1. Learn to navigate the organization’s culture. Every organization or company has a work culture they stand by. If you’re working in a large enterprise that has been in business for decades, then the work culture has been in place since you were probably in diapers. So, instead of expecting the organization to adapt to the new generation’s culture, beliefs and practices, listen and observe. It will help you learn more about your organizational culture and norms, so you can better adjust your behavior and communication style. 2. Draw the line between confidence and arrogance. Some people don’t know how to draw the line between confidence and arrogance. Yes, employers want confident workers who know the areas they excel in, contribute valuable opinion, and demonstrate enthusiasm. But, make sure you’re also aware of your weaknesses. Don’t overestimate your abilities by thinking you can do it all – that’s just arrogant. Show initiative but make sure to be humble enough to ask for help when you need it. Take pride and ownership in your work. Don’t be afraid to take credit for a job well done, but own up to mistakes and errors. 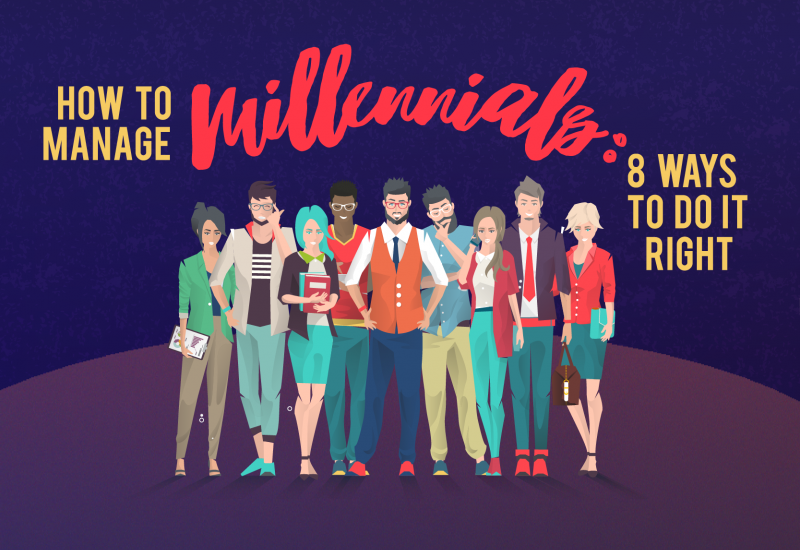 It will help you grow as a millennial leader and gain the respect of your peers. 3. Limit your personal screen time. Millennials are the first digital natives, and a lot of people think that you lack focus because you’re perpetually attached to your smartphone or mobile device. The older generation may think that you’re on your smartphone playing games or just going through Facebook or Instagram, but you know that these “digital distractions” are helping you be better at your job. However, make sure to limit your personal screen time during working hours. You can also talk to your superiors about it, and let them know that you’re learning on social media. During one of your team meetings, drop a line about how you read something on Twitter about one of your competitors. This will help your colleagues realize that you’re not just on your phone to share funny memes. Another common perception people have about millennials is that they expect a trophy just for showing up, and crave constant praise. In reality, you just want regular feedback to know whether you’re on the right track. Ask for feedback, but don’t expect your managers to praise your work. When you’re expressing the need for feedback, make sure to let your managers know that you need it to know whether you’re meeting their expectations or if you need to work on some skills. 5. Respect the Baby Boomers and Gen Xers. The millennial’s concept of respect may be different from that of baby boomers and gen Xers. You believe that respect is earned and given both ways, while baby boomers believe that respect is automatically shown to elders and superiors, no matter the situation. As the millennial leader working with the older, more experienced peers, it’s a good idea to show them the kind of respect they know and deserve. Greet them in the halls when you see them, and show them how you value their opinion and teachings. There are those who are natural teachers, and there’s always a few in every organization. That could be your boss, a senior at work, or your trainer. Finding a mentor in the workplace whom you can rely on for career advice will be highly helpful for you. They can sponsor your success, introduce you to the right people, and guide you throughout your career. It may take some time to find the person who is willing to be your mentor, but for sure, the payout will be priceless. A lot of people view millennials as the lazy generation who are used to cutting corners and taking the easy route. Set yourself apart from the rest by always taking a positive attitude. When challenges are thrown your way or when a new process or policy is brought forward, try to understand it first, before you express concerns. Do the task first, before thinking about how difficult it is. Chances are, it’s not. Follow the process down to the letter, before expressing flaws or potential drawbacks. That way, when you come up with ways to make the new process more seamless, you can provide more accurate feedback. Reliability is one of the best traits a worker can possess. If you make your superiors see how reliable you are, then they know that they can trust you to get the job done right! When a project is thrown your way, make sure to deliver on time. Deadlines are set for a reason, and any delay from your side can delay other people’s work as well. Go to work on time, and be there as much as you can! Before scheduling a holiday break or travel plans, ensure that your work is finished, and that no deliverables are being pushed back. That doesn’t mean that you can’t take a break every so often. But, make sure that you company can rely on you to be there whenever you’re needed. Prove yourself priceless to the organization, and sooner than later, they’ll realize how valuable you are to achieving the company’s bottom line. Keep your chin up, millennials, you’re on the road to success! The mere fact that you’re reading this article means that you value your co-workers and career. Take the millennial leader training to further your career and upgrade your skills to become the future leader in your organization.